Oceana Residence is the latest stunning condominium development by Luxury Living, a leading real estate developer based on Koh Samui Island, Thailand. An increasingly popular holiday destination for those seeking the perfect lifestyle experience and an increasingly enticing investment opportunity, Koh Samui is a rapidly expanding luxury property market. Sleek, simple and with a modern design, Oceana Residence has been designed with comfort and tranquillity in mind. Located centrally on Koh Samui’s popular northeast coast, a short walk to Samui’s famous Golden Buddha temple, Oceana is just 200 metres from idyllic Plai Laem beach surrounded by breath-taking tropical scenery and offering a large choice of nearby beachfront restaurants with a relaxed family living atmosphere. The chic and trendy restaurants, cafes and bars of Bophut’s Fisherman’s Village are just 5 minutes from Oceana and the busting international tourist centre of Chaweng is only 10 minutes from the residence. 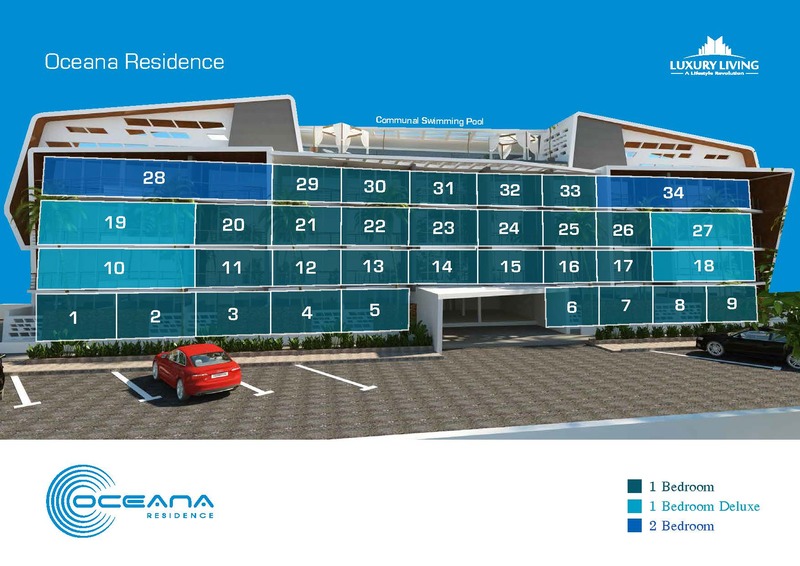 Oceana Residence is currently offering several subtle and unique buying opportunities including 1 and 2 bedroom units, in both standard and deluxe styles, and higher-end penthouse units with luxurious communal facilities including a striking rooftop swimming pool with sun lounge and fully-equipped gymnasium.